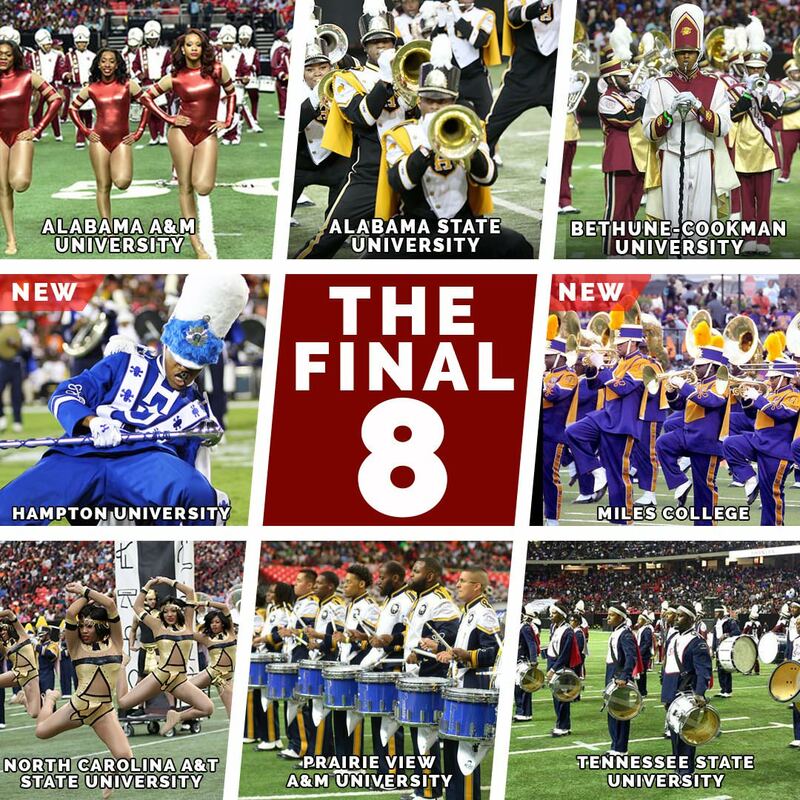 This weekend eight university band programs will be showcased in Atlanta, GA at the 16th annual Honda Battle of the Bands (HBOB). For the members and directors of these eight bands the opportunity to finish the season at the pinnacle event of the year isn't just special, it's life changing. Thirty years ago Honda started the Honda Campus All-Star Challenge for HBCU (Historically Black Colleges and Universities) schools to compete in a quiz bowl type of event. It was through that program that Honda realized that the ultimate shining beacon of these schools was their marching bands and thus the Honda Battle of the Bands was born. Alexandra Warnier, American Honda Motor Company's Manager of Corporate and Social Responsibility, told us that at Honda, education is a key core pillar of their activities which lead them to work with HBCUs. The bands are the prized possession of these universities and they wanted to "shine a light on the showmanship and precision of the bands and what they do." 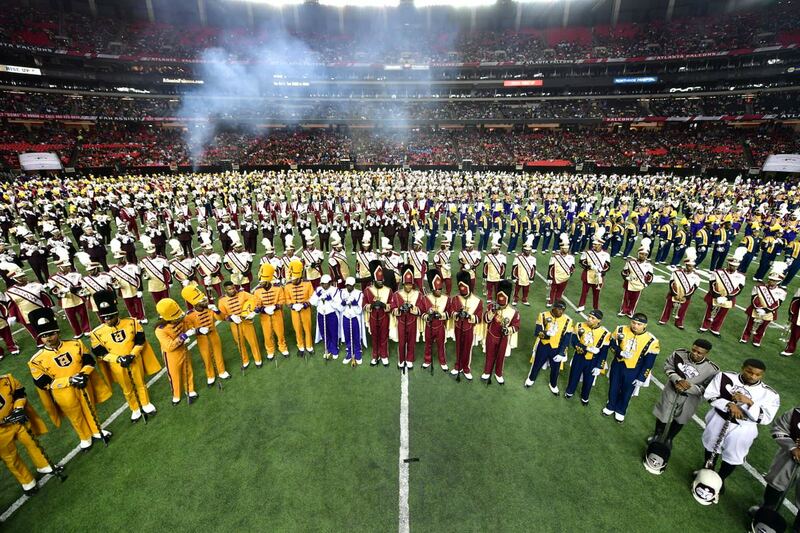 To date the Honda Battle of the Bands has reached 120,000 marching band students and Honda has granted over $12,000,000 in funding to the participating HBCUs over their 16 year partnership. "For us it's not about writing a check and walking away," said Warnier. "We've forged a long standing relationship with these schools, their presidents and the bands." "I will be attending my 14th HBOB this year." Honda provides each participating band with a financial grant that covers housing, food and transportation to Atlanta. The bands then get to play in front of 50,000 people in the newest NFL stadium in the country, Mercedes-Benz Stadium, home of the Atlanta Falcons. This year the eight bands are from Alabama A&M University, Alabama State University, Bethune-Cookman University, Hampton University, Miles College, NC A&T State University, Prairie View A&M University and Tennessee State University. Bethune-Cookman seems to be a regular and will be performing for the 13th time while Miles College and Hampton are making their first appearances. For the students and directors the opportunity to perform on this field is different than the rest of the performances during the year. "They have to realize how blessed and how special they are to have this opportunity and I expect them to grow as a better musician from this experience," said Alabama State's Band Director Dr. James Oliver. "For our school, this opportunity shows what hard-working and dedicated students are supposed to look like," said Oria Berkley, a senior studying Forensic Biology at Alabama State. "The student body is well aware of our future presence at HBOB. The students and alumni are so in love with the band that our entire section is sold out!" "I'm from Atlanta and have yet to actually see the inside of the dome so experiencing that alone is going to be priceless." For the first timers at Miles College this trip means even more. "Us being the new kids on the block, it's an honor to be on the same podium as the greats," said Willie J. Snipes Jr., Director of the Miles College Purple Marching Machine. 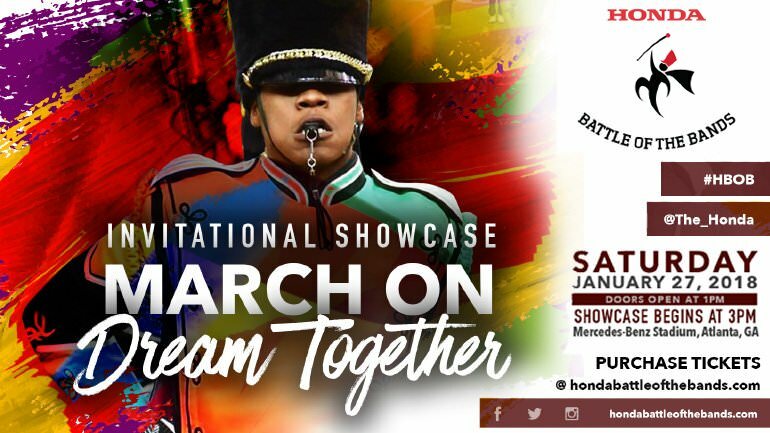 "Being the only D2 band selected for the HBOB is huge for Miles College." It's so huge in fact that the university President arranged for three buses to take students to the event and the student government has declared this week Purple Marching Machine Week to celebrate the band's participation in the HBOB. Awareness and appreciation for the bands is a major component of what the Honda Battle of the Bands does for each band. Most bands see a large increase in recruitment the following year as interest from prospective students surges. It also provides band directors a platform to showcase the entire university and build school pride which ultimately helps the directors gain larger operating budgets. "In HBCU culture the bands are stars," said Warnier. The same can't be said for traditional Division 1 FBS marching bands. While the B1G, SEC, ACC, Big12 and Pac12 bands get most of the attention in the band world they are greatly overshadowed by their own football team. At HBCU schools, the football game is an afterthought to the bands and their halftime performances. The HBOB elevates them to an entirely different level and when the band finds out that they are in, the celebration is enormous. "Imagine waiting for your lottery numbers to come, then BOOM, you win! That is exactly what it felt like," said Erin Barnes, a senior studying Electrical Engineering at Alabama A&M. "When I first found out that we were going to Honda again I was in the band room and everyone around me was going insane," said Berkley. "There was a lot of excitement and hype in the room." The 50,000 fans in attendance are going to get the best performance these bands can give. The members will get a life changing experience, but for Erin Barnes the opportunity to change someone else's life is at the forefront of her mind. "HBOB is special because it shows students from HBCUs doing something positive. HBOB destroys any negative stereotypes about young, black individuals," said Barnes. "The world is full of negative, destructive, and contradicting ideas about the everyday lives HBCU students live." "If HBOB changes only one mind in the crowd that makes it special." The Honda Battle of the Bands steps off this Saturday in Atlanta, GA. You can purchase tickets HERE. All photos courtesy of HBOB.